We all know that 2648 West Grand Boulevard in Detroit had an overflow of talent. Here this Sunday we come up with the next date where two legendary leading ladies of Motown share the same Birthday. First off we sing in salutation to Lady Leo Caldin “Carolyn” Gill, who celebrates birthday 69 today. 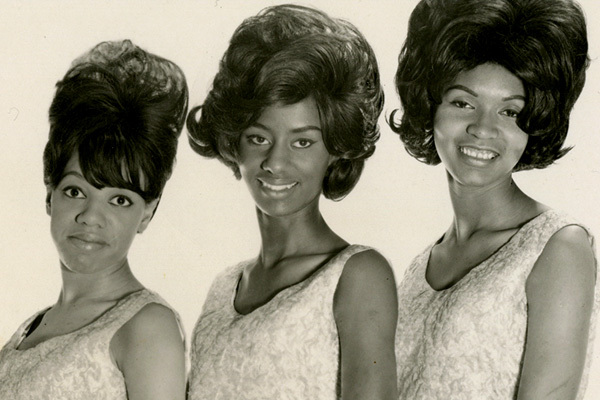 Although The Velvelettes only racked up 3 Chart entries, their catalog of recorded material between 1963 and 1967 is perhaps the purest form of the Motown sound. Given that there wasn’t an established pattern for them in terms of hit record after hit record, as with The Supremes, Marvelettes and Vandellas, often their work took greater risk at pushing the Motown Sound further down the path of sophistication. 8 months before the galloping strut The Supremes would implement with “I Hear A Symphony,” Cal and family and friends were rollicking through “He Was Really Sayin’ Somethin'” and other songs. Fast forward to 1966, and the older Members of The Velvelettes between Masters degrees and Marriage couldn’t really commit to time on the road, and far less time in the studio. The opportunities for Carolyn to practice her craft dwindled in the flux of recruiting new members for the group. However, that didn’t mean that what they did lay down in the meantime wasn’t worth attention. One of my favorites from this point in their career is this shuffling bit of eye opening to the possibilities of romance courtesy of Smokey Robinson.